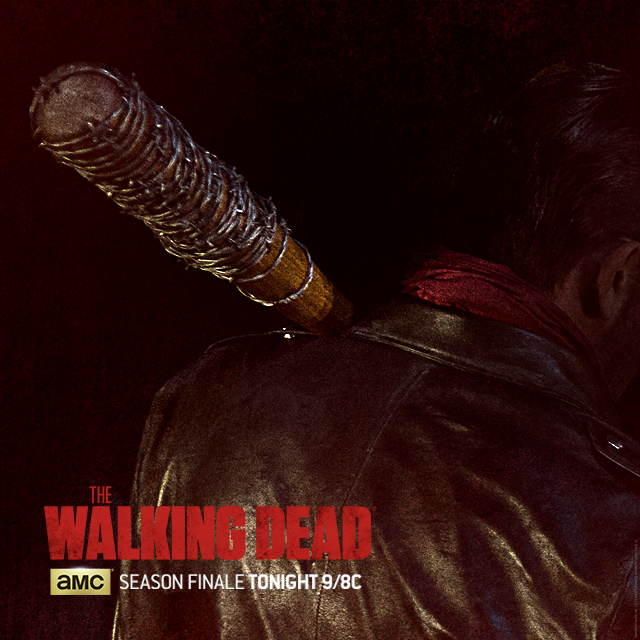 The moment we've all been waiting for is finally here: The Walking Dead season six finale. What did we think? How much did we cry? Let's find out. I expected a lot of tension and to cry a lot of tears. 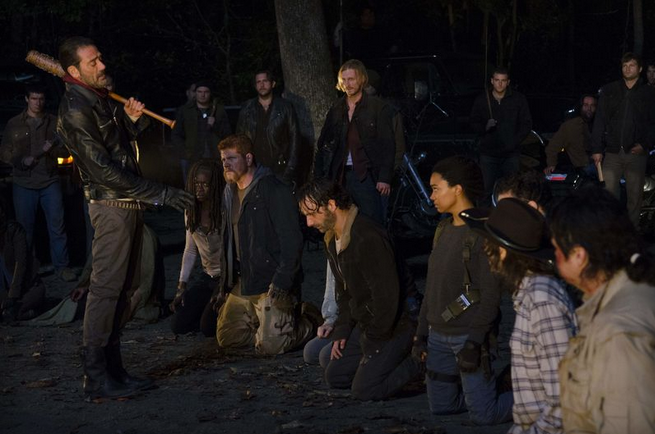 The episode was directed by Greg Nicotero, and one of the writers was Scott Gimple, and usually that means death and desolation of audience emotions. This episode started fast and kept me guessing about characters' fates the whole time. In the last two episodes, Morgan's storyline really came together. Everything he's been trying to say fell into place, and we see how it's affected other characters. I love how he refused to give up on Carol, much like Eastman refused to give up on him. I feel like Carol's actions in the latest episodes finally began to make more sense and seemed more natural in this episode. I hated seeing her at the point of giving up on everything, but I hope to see her rally in the future and become stronger, just as she has through all the other tough stuff that's been thrown at her. That being said, I was terrified for the characters in those closing scenes. I don't think we've seen Rick so scared since the prison fell (not even really when Carl got shot in 6x09), so there's definitely some fear for what the next season will bring. The show's decision to leave Negan's victim a mystery will have me building theories and questioning the safety of my favorite characters until the show returns in October. - The parallels to episode 4x16 were really cool. - Eugene! Loved that he finally got a hero moment, though I hope he doesn't die. - Rick and Maggie had several great interactions in this episode. MY FEELS. - Great acting from the cast in those last scenes. It was obvious they were all really into their portrayals, and it made the scene that much scarier and nerve-wracking. I gotta say, I'm a little disappointed. After the entirety of season 6 led up to this character death, to not find out the identity of who died was disappointing. When I sat down to watch, I was worried, but I was also relieved because at last my concern and wondering would be over. But instead, we have to wait six more months to find out. Six more months to theorize and be scared for our favorite characters, and unfortunately, I'm no closer to guessing who died than I was a couple episodes ago. At this point, it could be anyone. I think it would have left more of an impact if we had actually seen who died. The entire build-up to that moment was amazing. My heart was beating really fast, and I was sick to my stomach. The choice to use eeny meeny miney mo and then mix up all the faces was perfect. But after all that, it was anticlimactic to not know who died. Now I'm not sure that the death will leave as much of an impact after we've had six months to wait. While I do understand what they were going for, the showrunners built up to the big death only for us to find out nothing in the end. It's a major disappointment to the fans, and I feel a bit like I've been played. 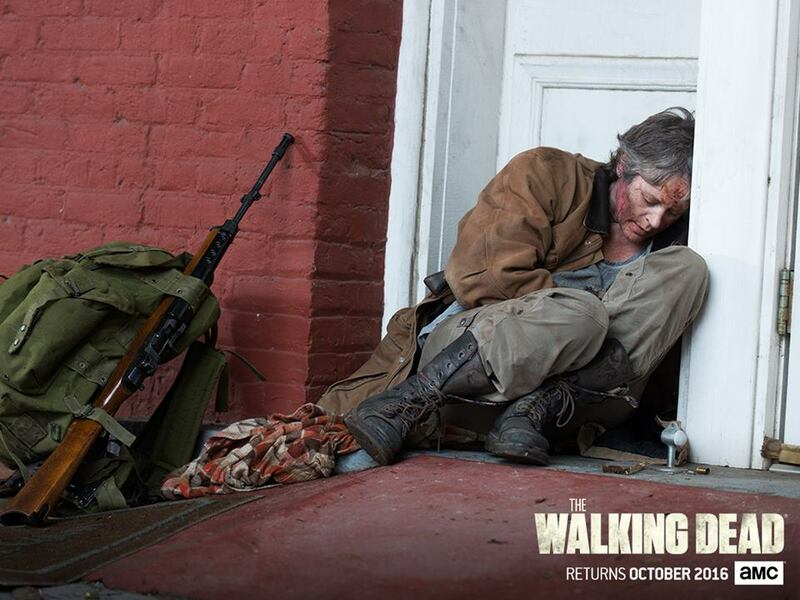 Additionally, I'm disappointed with where Carol's arc has gone. It's been confusing to me why she suddenly went from Badass to Person Who's Scared. If I had seen the moment that led her to feel that way--her breaking point--I might feel differently, but it was a bit unclear and seemed to come out of the blue. However, I can't leave without discussing the good of this show. Rick and Maggie's moments in the back of the RV were so cute and heartrending. Eugene's idea to use the RV as a decoy and his subsequent goodbye nearly broke me. I loved everything about Morgan in this episode. I'm so happy he was in this season, and it hit me just how far he's come. I loved his loyalty to Carol, and their friendship that's developing is one of my favorite things. 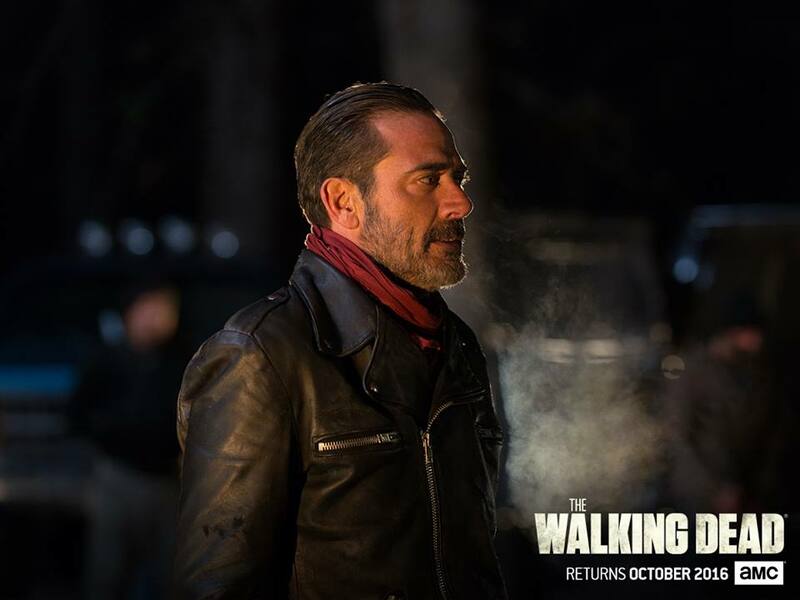 Let's talk about Negan. I actually really look forward to seeing more of him. His viewpoint, while evil, is still totally understandable, and it's shocking to see that he and Rick aren't that different. (The only thing that makes Negan more terrifying is, um, Lucille, whom I am not fond of at all.) His parts were spectacularly acted, and they made me both intrigued and terrified. All the actors deserve a major kudos for their incredible acting, especially in the very last scene of the finale. As a whole, this season wasn't too bad. It lacked some cohesiveness, and some of the episodes seemed to be filler episodes. Some of the writing was a bit sloppy, and some of the character arcs (read: Carol's character arc) came out of nowhere. However, we did get some solid moments. The highlights for me were the introduction of Jesus and Enid, Maggie and Glenn's pregnancy (though I hope the baby is okay! ), Gabriel the priest becoming a badass, and getting to see more of Alexandria and the other colonies. This was a pretty solid season. All in all, I will continue to watch because I care about the characters. I just hope season seven is a little bit better. The build of people and intensity along each route reflected my heartbeat as I watched last night's episode. What would have happened had the group chosen the first road? They probably would have ended up in the same place because of how smart the Saviors are. This second half of this season has been unrelenting and contains some of my favorite episodes of The Walking Dead. I thought for one moment that we were going to lose Carol tonight. She's been in a downward spiral for a few episodes, and she's beginning to scare me because of her actions and her honesty. I understand where she is coming from. You can't surround yourself in ones that you'd kill for and expect to not have to kill anyone else, and killing without emotional repercussion can be terrifying. I am having the hardest time getting over how masterfully demented Negan is and just hate him like a normal person. That and Jeffrey Dean Morgan was looking mighty fine!! The film appreciator in me is in love with the complexity of this new character and the struggle that he will cause the group to have. I have been waiting to see him on screen, and he was terrifying! 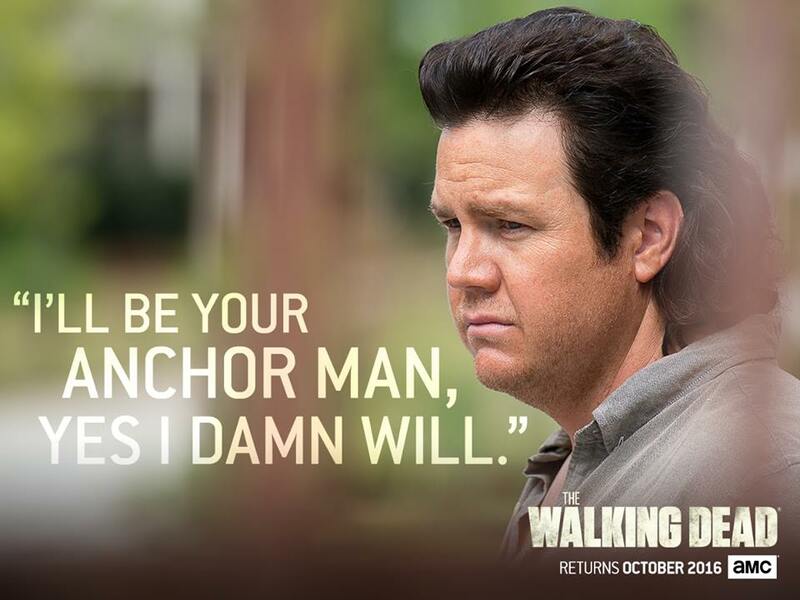 Everything from his mannerism to Lucille was spot on with the comic book version. I can't wait for more, but maybe I shouldn't. Who was killed? I'm ruling out Carl and Rick because of the whole eyeball consumption thing. My comic book brain knows who got it on paper, but a few of the characters that were in the line up are already dead or non-existent so I'm unsure of who got it. I wish that Carol had a sound mind and could come up with another brilliant plan like she had back at Terminus. Either way, it'll be nerve wracking to wait to find out. Have you seen "Last Day on Earth"? What did you think of it? What did you think of season six? 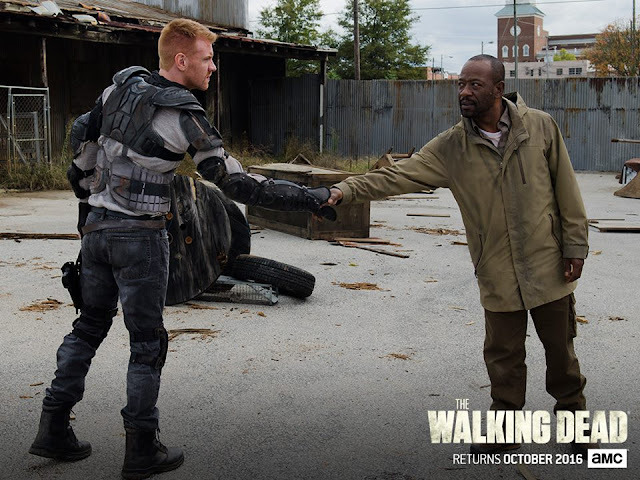 What do you look forward to seeing in season seven?